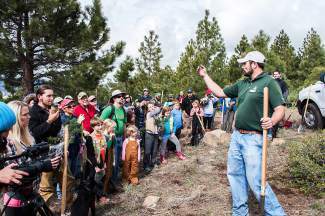 Those who participated in Truckee's tree planting in May were among 1,165 volunteers across the United States and Canada who helped set a Guinness World Record for the most trees planted in an hour in multiple locations, simultaneously, by groups of up to 100 people. Visit sugarpinefoundation.org to learn more about Sugar Pine Foundation, including planting opportunities this fall. 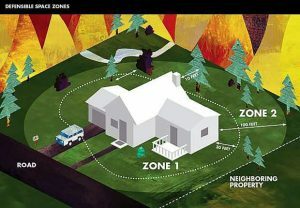 Visit tahoedonner.com/news/category/forestry to learn more about Tahoe Donner Forestry Department. 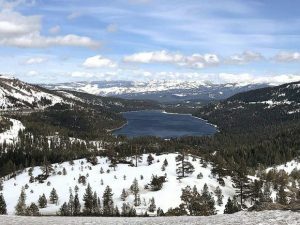 Visit sfiprogram.org to learn more about SFI Inc.
TRUCKEE, Calif. — A tree-planting effort that took place this spring at Tahoe Donner and other locations across North America is going down in the books. On May 20, residents and volunteers with the Sugar Pine Foundation and Tahoe Donner Forestry Department not only partnered in forest rehab project, but helped set a Guinness World Record in the process. Confirmed in late September, the record is for planting the most trees in an hour in multiple locations, simultaneously, by groups of up to 100 people. In that hour, 202,935 trees were planted by 1,165 volunteers that made up 29 teams in locations ranging from New York City to Vancouver Island, British Columbia. Of that tree total, participants in Truckee planted 360 saplings — 240 western white pines and 120 red firs — in a fire-damaged area of Tahoe Donner. The year-old seedlings planted are generally resistant to blister rust fungus, which poses a threat to forests in the western United States and Canada. This entire effort was organized by Sustainable Forestry Initiative, an independent nonprofit that works to promote responsible forest management and sustainable communities. “As SFI celebrates its 20th anniversary, I can’t think of a more exciting way to recognize and reinforce our commitment to healthy forests and sustainable communities, and to reaffirm that the actions we take today can have a significant and material impact on the future of our forests,” Kathy Abusow, president and CEO of SFI, said in a statement. When mature, these trees will provide clean air to breathe, clean water to drink and help improve the quality of life for many, according to SFI. Video, photos and independent witnesses recorded the attempt at each location, which Guinness World Records used to determine whether a record had been set. With record confirmation, all participants are eligible to receive a personalized Guinness World Records certificate.